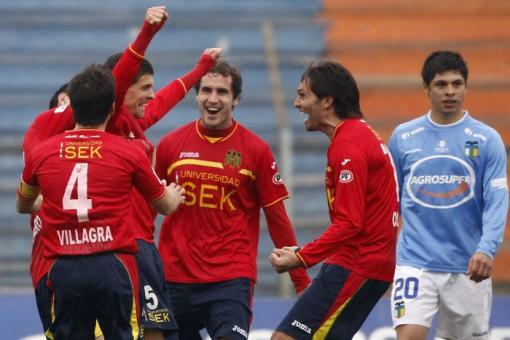 The 2012 Copa Sudamericana has started well for the Chilean clubs with a record of four games unbeaten. Last week saw Cobreloa and O’Higgins record a win and draw respectively and this week it was the turn of Deportes Iquique and Universidad Católica; the duo followed suit with a win and a draw. 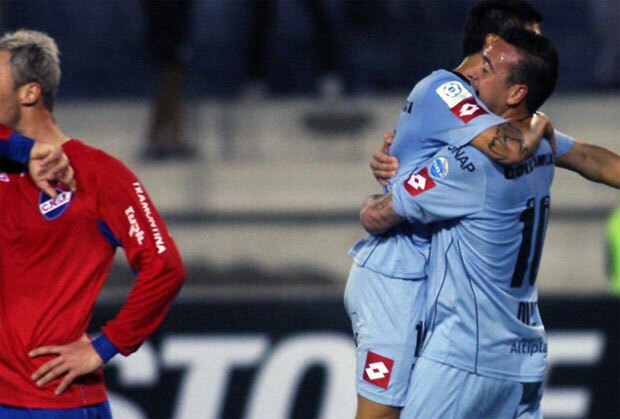 Iquique received arguably the toughest draws of the four Chilean clubs, paired with Nacional but Fernando Vergara’s side put in Chile’s finest performance with a comfortable 2-0 victory; giving the side a solid lead as they head into the second-leg. Católica had to make the toughest trip, to Bolivia. Cato are still to find their feet under new boss Martín Lasarte, displaying their quality in sporadic bursts so far. In terms of performance they disappointed against Blooming but can be satisfied taking a 1-1 draw back to the Estadio San Carlos. 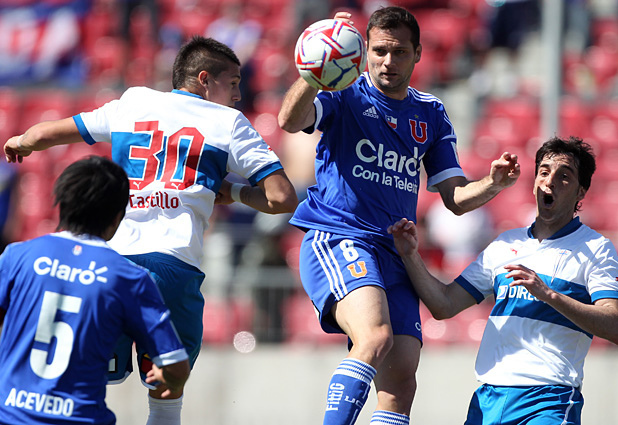 Iquique kicked things of on Tuesday as they welcomed Uruguayan giants Nacional to the Tierra de Campeones stadium. Despite a nervy start against the three-time Copa Libertadores champions Los Dragones Celestes emerged as the stronger side as the game progressed, going ahead through Sebastián Ereros. 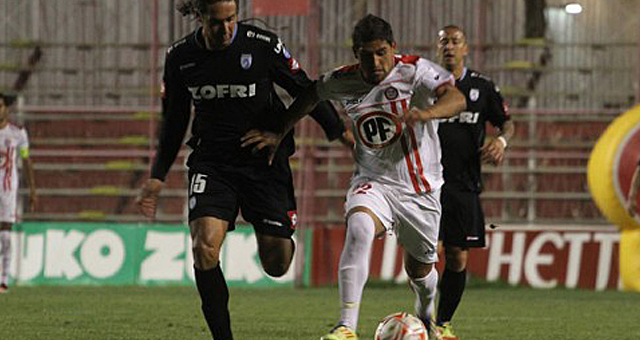 Enganche Rodrigo Díaz was in fine form and Iquique could have been further in front before the half-time whistle. On the previous Friday evening Iquique conceded five to Rangers, but were defensively sound, keeping the experienced talents and his wand of a left-foot quite throughout the match. A second goal was added was through a well-taken volley from Misael Dávila to give the Chileans a commanding position going into the second-leg in Uruguay. Católica made their way to Bolivia to take on Club Blooming in Santa Cruz. Cato were coming into the game on the back of a 2-2 draw in Antofagasta where they were left frustrated by the concession of a late equaliser. It appeared they were still suffering from the disappointment of the weekend’s result as they started slowly with the first-half a non-event. It was no surprise that the opening goal scored by Álvaro Ramos came only minutes after the arrival of Michael Ríos onto the field of play. 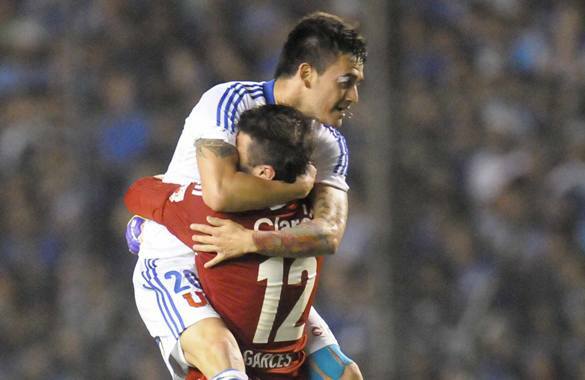 Ríos has been Los Cruzados’ most influential out field player since the Clausura begun and provided the assist for Ramos. However Cato’s defensive problems resurfaced as Blooming equalised only a minute later, and for once this season the excellent Cristopher Toselli has to take a large proportion of the blame. The ‘keeper, so impressive of late, came for a cross but showed little conviction as Limbert Méndez was first to the corner and headed into the vacant net. Despite their inability to hold onto the lead Católica and manager Lasarte will be content with the result, knowing that they are favourites to prevail over the two-legs. On this week’s round-up three games are featured with entertainment, golazos, comical defending and some fine goalkeeping on show. Cobresal created history with their surprise win at an eerie Estadio Monumental as Colo Colo continue to feel the effects of crowd trouble which reared its ugly head the previous week in Rancagua with the death of an O’Higgins fan. Patricio Rubio and Alvaro Ramos put in a fine performances in attack for Unión Española and Universidad Católica respectively as both Santiago sides picked up three points. Equally impressive was the performance of Cristopher Toselli on goal for Cato. 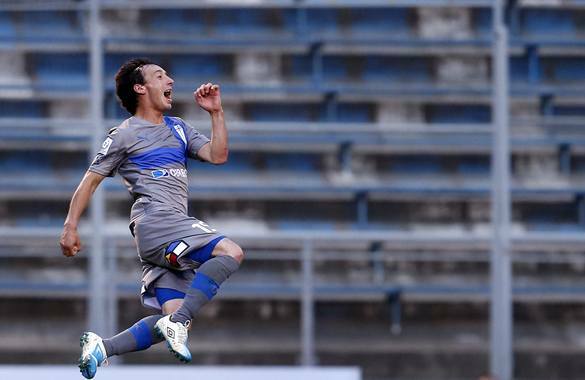 Elsewhere Universidad de Chile failed to score in Iquique while recent attacking signings continue to impress.